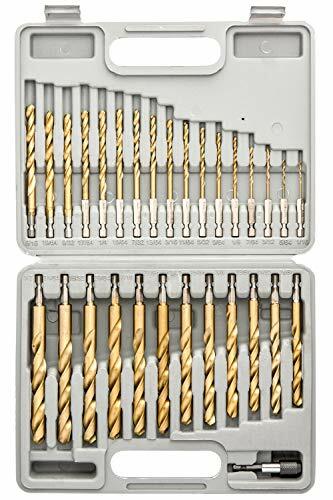 COMOWARE Titanium Twist Drill Bit Set - 13 Pcs Hex Shank High Speed Steel for Wood Plastic Aluminum Alloy, 1/16"-1/4"
Retailed packaged 13 pieces twist drill bits, include 1/16"(1.59mm),5/64"(1.98mm),3/32"(2.38mm),7/64"(2.78mm),1/8"(3.18mm),9/64"(3.57mm),5/32"(3.97mm),11/64"(4.37mm),3/16"(4.76mm),13/64"(5.16mm),7/32"(5.56mm),15/64"(5.95mm),1/4"(6.35mm). 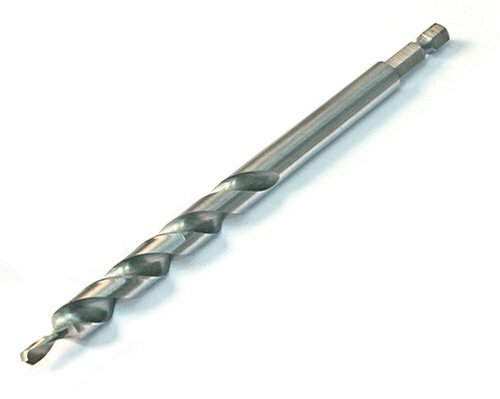 High speed steel construction provides ultimate durability and the titanium coating ensures a longer service life so that the drill bits last through multiple uses. The split point tip and twist design increases cutting speed while easy self centering prevents walking. Say bye to all those chips and particles, with the twist design the drill bit can quickly clears them out, and leaves a clean, smooth hole. Please keep cool and gentle using, the working life of the twist drill bits can be largely prolonged by proper usage. HSS Titanium Coating - Classic HSS construction with titanium coating for capability and durability. The cutting edge is hardened and honed for sharpness, chatter-free design with staggered cutting teeth ensure the precise countersinking and hole smooth clean. Flutes Form - 2 flutes form helps clear chips and debris away from the bit, decreasing friction and heat for a faster, cooler drilling process. Quick Change - 1/4 inch hex shank fits into all power tools more easily and securely, specially for locking into quick change chuck. 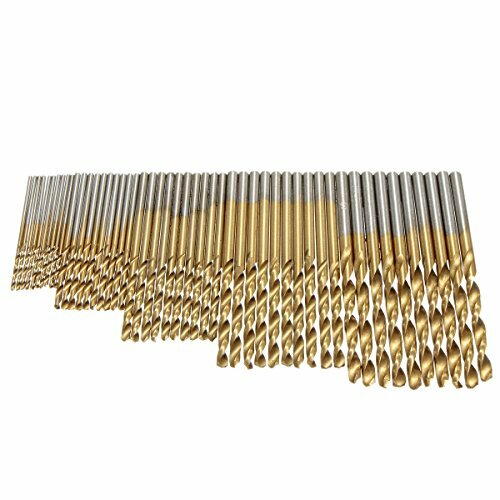 Meet Your Demands - Great drill bits set for metal/wood/plastic countersink. Suitable for Home DIY, and General Building/Engineering Use. Organized Holder - A drill bits holder with size index is included in the set for easy storage and organizing. The drill bits set fits the majority of brands currently on the market. 10 HEX HEAD / ALLEN DRILL BITS IN THE FOLLOWING SIZES - 5/64", 3/32", 7/64", 1/8", 9/64", 5/32", 3/16", 7/32", 1/4", 5/16"
INDUSTRIAL GRADE S2 STEEL WITH MAGNETIC TIPS - Our Drill Bits Are Made From High Quality S2 Steel Material in a Beautiful Black Finish. Also Each Drill Bit is Labeled with it's Imperial Size. TRADE IN THAT ALLEN WRENCH FOR YOUR POWER DRILL - We've all been there before, you order a piece of furniture and open the box to find 100s of screws, all have to be fastened with a mini allen wrench. Instead imagine using your Drill to tighten and help put together your next Ikea-type piece. 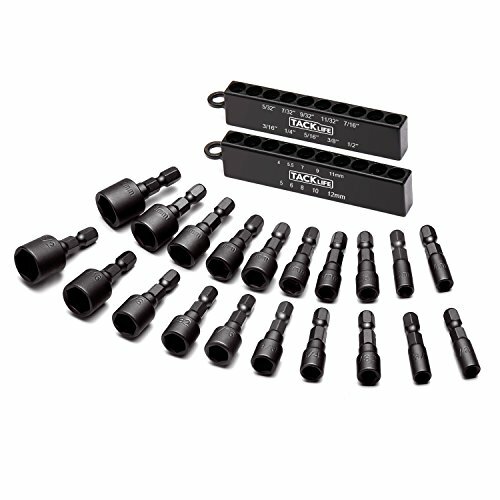 Tacklife PNDB1A Power Nut Driver Set is a essential tool to weekend warriors or professional contractors. It's widely used in household DIY, auto parts, woodworking, professional machine repairing a professional contractor, etc. 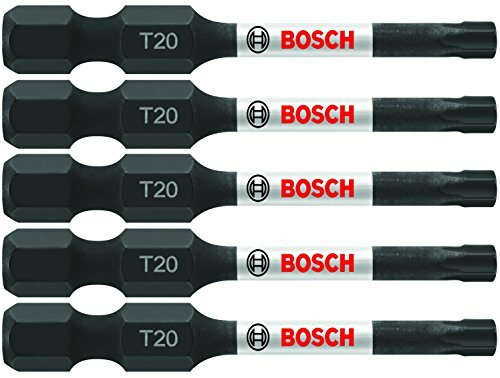 INDUSTRIAL GRADE S2 STEEL WITH MAGNETIC TIPS - Our Drill Bits Are Made From High Quality S2 Steel Material in a Beautiful Black Finish. Also Each Drill Bit is Labeled with it's Metric Size. TRADE IN THAT ALLEN WRENCH FOR YOUR POWER DRILL - We've all been there before, you order a piece of furniture and open the box to find 100s of screws, all have to fastened with a mini allen wrench. Instead imagine using your Drill to tighten and help put together your next Ikea-type piece. The Kreg Hex Shank Pocket-Hole Drill Bit was designed and constructed with the same rigorous standards as our well-known standard round shank (KJD) drill bit. It features the same stepped bit design, the same high quality construction, but also features a new hex shank which increases hold strength and reduces slippage in the chuck. Made specifically for Pocket-Screw Joinery. 1/4 hex shank works with any quick change chuck. Hex shank with power groove resists slippage. Specialized stepped bit drills guide hole for screw. High quiality hardened steel for longevity. -Industrial grade chrome vanadium to provide hardness, high abrasion/corrosion resistant. -To be portable with two assembled metal strips. -Can be used in household DIY, auto parts, woodworking, professional machine, professional contractor repairing. Power Nut Driver Bits (Inch): 5/32, 3/16, 7/32, 1/4, 9/32, 5/16, 11/32, 3/8, 7/16, 1/2 inch. Power Nut Driver Bits (Metric): 4mm, 5mm, 5.5mm, 6mm, 7mm, 8mm, 9mm, 10mm, 11mm, 12mm. Different sizes meet your different needs.20 PCS Power Nut Driver Bits (Inch): 5/32, 3/16, 7/32, 1/4, 9/32, 5/16, 11/32, 3/8, 7/16, 1/2 in; 10-PCS Power Nut Driver Bits (Metric): 4mm, 5mm, 5.5mm, 6mm, 7mm, 8mm, 9mm, 10mm, 11mm, 12mm. Professional & Durability - Made from the forged and hard chrome vanadium steel, the hardness can reach 52 2 HRC; With the corrosion-resistant sandblasted finish to make it more durable. Universal 1/4 in. 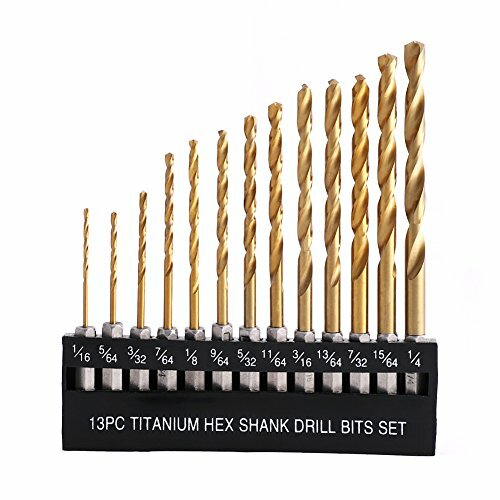 hex shanks fit quick-change chucks and any drill, driver, or screwgun.It's widely used in household DIY, auto parts, woodworking, professional machine repairing, etc. Corrosion-resistant sandblasted finish.High quality,long lasting and durable.Each bit is clearly marked that you can find what you need quickly. Convenient Storage-Come with a workbelt storage clip, easier for carrying and organized storage. 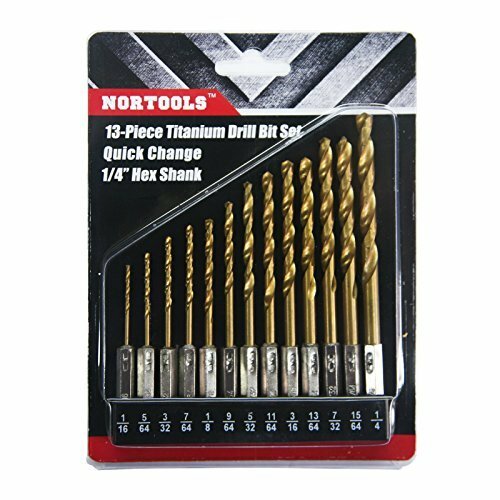 Too luxe 30 Piece Quick Change Titanium Drill Bit Set. Includes 1/4" Hex shank for fast changes. Roller forged and sharpened edges. 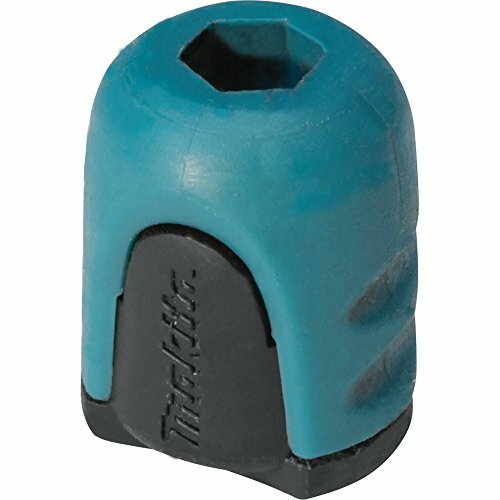 Brand: Tooluxe | Manufacturer: Ridgerock Tools Inc.
1) Slide correct size drill stop to desired depth on the drill bit. 2) Align locking screw with land (body). 3) Tighten locking screw with included wrench. 4) Remove wrench before use. Great for machinery shaft instruments or on woodworking tools as a bit limit ring. No More Wrapping Tape Around Your Drill Bits! The Drixet Drill Stop Bit Collar Set will quickly and easily help you drill holes to exact depths and are ideal for production work and repeated drilling by positively locking anywhere along the bit. QUALITY: The Durable Alloy Steel Setscrew Type Collar will stay sturdy when tightened and is specially designed not to damage the bits. DESIGN: With the Setscrew tight the collar will remain securely in place exactly where you put them and will accurately control the depth of the hole you are drilling. USES: Bit Limit Rings are used as a Shaft Collar on machinery and can be used on twist drill bits or brad point drills or any type of bit to prevent excessive drill bit penetration and for any job that uses a bit and needs precision. The Makita Mag Boost is a great addition to any users accessory assortment. This versatile add on works with most brand power bits. 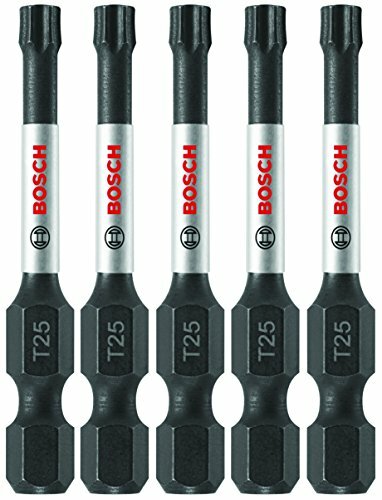 Drill tap bits increase efficiency of operation by allowing for drilling and tapping to be accomplished in a single pass. These HSS drill and tap bits are great tools used to create screw threads, to cut or form the female portion of the mating pair. They are used on a machine to do the tapping, such as a lathe. Machine tapping with these taps is faster, and generally more accurate because human error is eliminated. HIGH HARDNESS & RUST RESISTANCE ---These taps are made from hardened high-speed steel vs carbon steel for longer life.Suitable for drilling, tapping, cutting on soft metal, aluminum plate, iron, etc. SELF-CENTERING POINT ---Do not need assistant center drilling or center punching. Stanley J7121 Proto 1/2-inch Square Extension 7/16-inch Hex Made of forged steel. Size stamped on tool for easy identification. Ball detent. Not for use on impact applications. 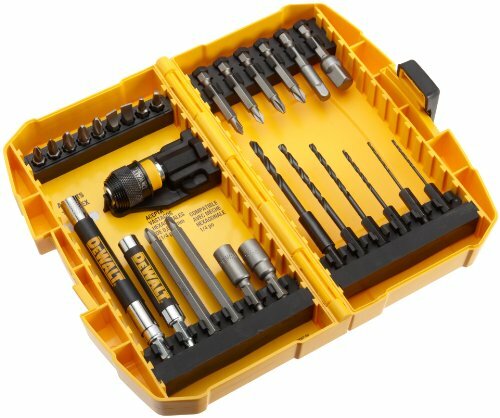 DEWALT DW2521 28-Piece Rapid Load Set: Rapid load For quick and easy accessory changes. A magnetic Drive Guide reduces slipping and wobble. It features a tough case container; the bit retention system keeps bits organized and secure. 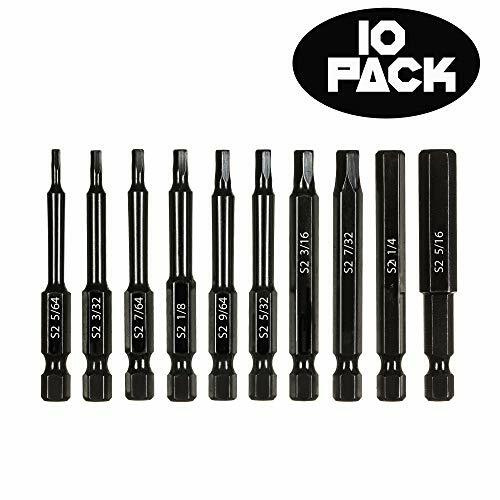 Contains: (5) 1" Philips Bits, (2) 1" slotted bits, (2) 1" square bits, (4) 2" Philips bits, (1) 3-1/2" Square bit, (6) Hex Shank Black Oxide bits, (2) Nut drivers, (2) Socket adapters, (1) 6" Drive Guide, (1) Compact Drive Guide. High Speed Steel: high hardness, good wear resistance and durability. 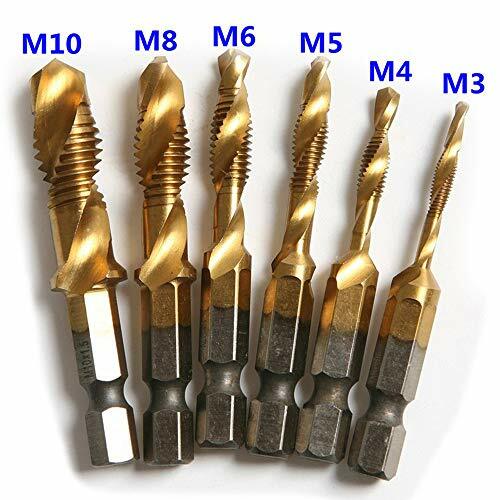 Surface Titanium Coated: Increase the HARDNESS of the drill bit, Strengthen heat dissipation, make bit more WEAR-RESISTING. Easy to Removal Chip: spiral grooves with an oxide coating for quick removal. High Quality: suitable for drilling holes in alloy steel, wood, nonferrous metal, cast iron and hard plastics. 50 Pcs & 5 Sizes: 1mm, 1.5mm, 2mm, 2.5mm, 3mm, there are 10pcs of each size, total quantity is 50pcs. 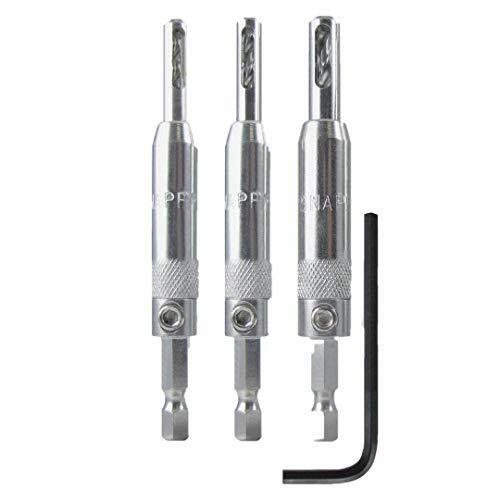 This set of three quick-change hinge bits are part of Snappy's 1/4" hex drive bit and accessory line that lets you quickly and easily change from one bit to the next. Set includes 5/64", 7/64", and 9/64" spring-loaded self-centering bits for #2 - #4, #6, and #8 - #10 screws. The bits will perfectly align your screw holes with the holes in your hinges, drawer slides or other similar hardware. Set includes 5/64, 7/64, and 9/64 spring-loaded self-centering bits for #2 - #4, #6, and #8 - #10 screws. 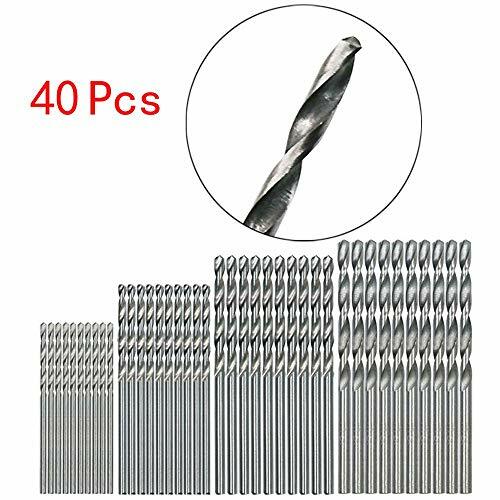 Retailed packaged 13 pieces twist drill bits, include 1/16",5/64",3/32",7/64",1/8",9/64",5/32",11/64",3/16",13/64",7/32",15/64",1/4"
The product is 6PC Hex Shank Bit Set. Easy to use. The product is manufactured in China. 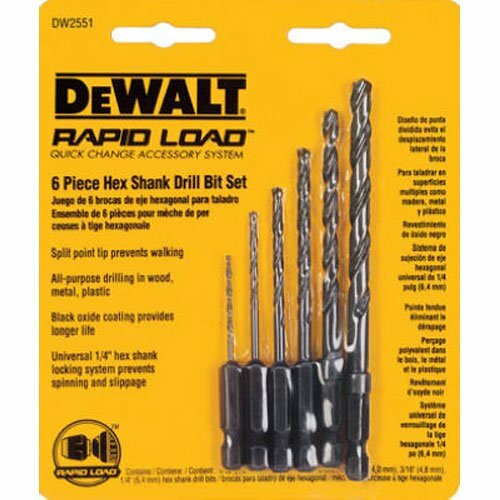 The DEWALT DW2551 6-piece 1/16-to-1/4-inch Hex Shank Twist Drill Assortment comes with split point tips to prevent walking and a black oxide coating for longer bit life. 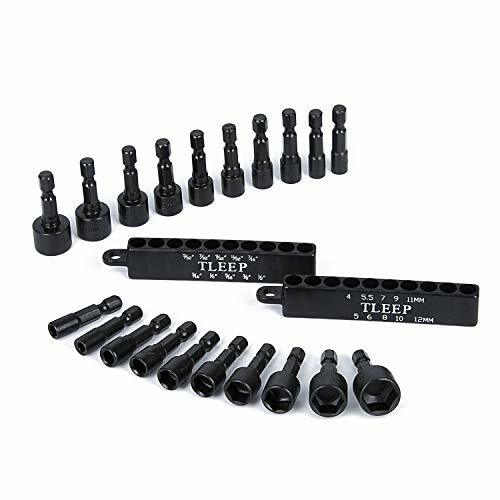 This assortment includes 1/16-, 3/32-, 1/8-, 5/32-, 3/16-, and 1/4-inch bits.